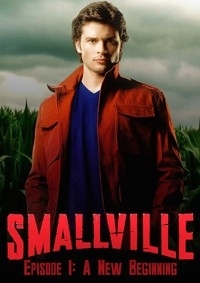 Tells the story of Clark and his desire to be normal despite his ability’s. It also follows Lex’s path into darkness. In this Episode Clark learns new ability’s and about his Kryptonian heritage. While Lex battles with his father while investigating Clark. I set out originally to tell the first 4 Season’s in one movie. Not surprisingly I found there was too much for me to tell in one movie. So I took from Seasons 1 and 2. This edit focuses on Clark’s developing his ability’s, and exploring his kryptonian roots while in direct conflict with his desire to be normal. Like “A New Hope” This is very story heavy and action lite, BUT it does set up the story for the following episode. 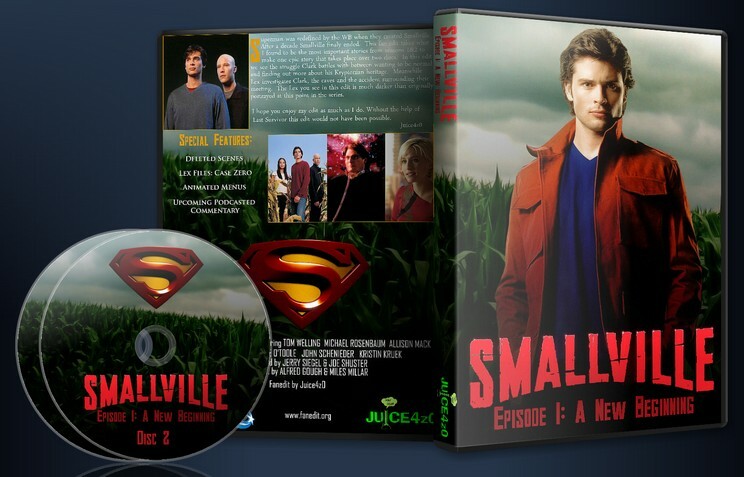 That being said it still keeps all the things we loved about Smallville and trims the fat down. This Version 2 which to be fair is a drastically different edit. Run's about 20 minutes shorter than the original. The ghosting has been fixed. It is not edited from VOB's. I have done my best to smooth out the Audio transitions. But be warned being a 2 channel source, the audio editing is not up to my normal standards. Many things like the football subplot have been cut to improve pacing. The edit is now a single disc instead of a mid movie disc split. Is it perfect? No but it is still one hell of a ride. 2 full seasons in less than 3 hours. Enjoy. Special thanks to Last Survivor and Kal-El without them I doubt I would have gotten half as far as I did. Far to many cuts to list, Most of season 2 was cut to the bare bones. Both seasons have had the freak of the weeks removed from the story. Scene’s from theses episodes have been used to flesh out story archs and what not. Where possible any cut that could be make in a scene to make Lex seem darker was. Lex comes across much more sinister and manipulative. He still is very “friendly” around Clark but is hiding much more from him than he was normally in this part of the original time line. Lana has been cut to next to none. She is still there as more of a guest star and back up role. Season 1 and 2 pretty much were the same and played well together so I took the best of the two seasons to make 1 enjoyable experience.